The following sessions are scheduled for the remainder of the year. You can register ahead of time and pay for the class. Registration is not complete until payment for the class is received. Future offerings are subject to change. In this class, you'll create small (miniature) abstract collages from assorted materials. Things to bring: Old watercolor paintings (2 or 3) that you don't mind tearing up, A small set of watercolors, colored pencils, regular or watercolor pencils, a few small brushes, a small WC palette or a small plate, a container for water, Mod Podge (preferably matte finish), Elmer's glue, scissors......Any and/or all of these. Do not buy anything special for this project. I will bring scraps to work with, metallic paints, metallic thread and needles, small scraps of fabric and lace, and surfaces to work on. Daly attended Carnegie Mellon U. for three semesters, graduated with a BS in Art Ed. 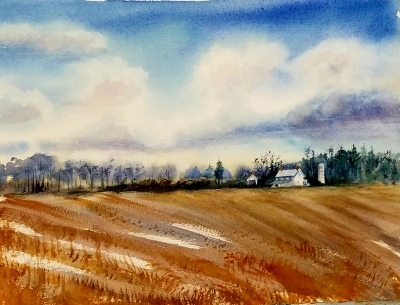 from Indiana University of PA. She also has a MA in Drawing with a minor in Printmaking from Indiana University of PA. She's taught Elementary Art and Middle School Art in a number of public and private schools. In 1998, she opened a studio in central Massachusetts, teaching Art to children from K through 12 for 16 years. My husband and I moved to Milton in 2016. 4”x 6” notepaper for this session producing at least one finished product. 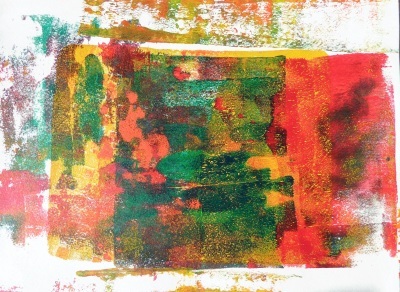 MAG will supply Gelli Plates and brayers for use in this class along with some acrylic paints and Acrylic Paint Retarder to slow the drying process. If you have particular colors you’d like to use, please bring them. Have favorite stencils or stamps, or special paper you'd like to use? Bring them along. If you don’t want to share plates and brayers, Gelli Plates & Brayers are available through on-line art suppliers or Amazon for approximately $10 each. Kaz Huston is a multi-media Artist with watercolor, acrylic and other media to create atmospheric abstracts and landscapes, etc. She has been in juried shows and enjoys teaching and engaging Artists to be more experimental, creative, relaxed, and have fun producing their Artwork. 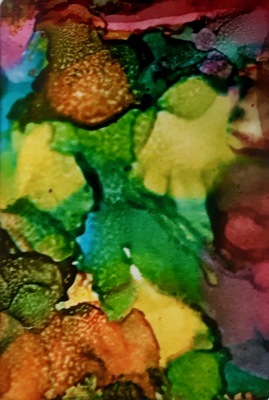 Students will be using alcohol ink on Yupo paper to create 3 all occasion cards including envelopes. We will use several techniques to make the cards. This is a fun and interesting class. NO experience necessary. Bring an old apron. All other supplies will be provided. Doing blind contours is an excellent method for forcing one to really see and translate onto a flat plane what you are observing. It is an exercise that can get you unblocked and yet in the process produce some happy results to which others relate. The process is simple but takes intense concentration focusing on the relationship between eye, brain and hand. This process will help you loosen up and yet produce some exciting and interesting art. 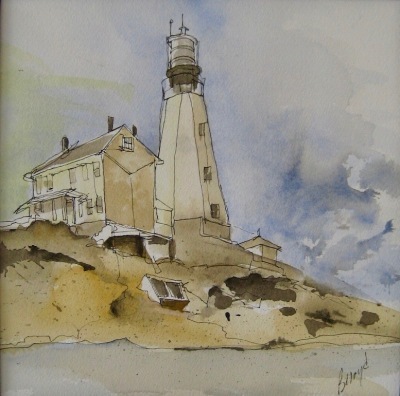 After demonstration you will do two or three quick ink drawings and afterward apply paint. This will be a Watercolor demonstration and paint along. The theme is Local Homesteads and Farms. Gerilyn demonstrates various tips and techniques, including wet-on-wet, dry brush and glazing. Reference materials will be provided. Each student will have one on one time with Gerilyn to help with any painting questions. Some materials will be available but bring your favorite paints and brushes. A kit of supplies is available for $10. All levels of students are welcome. 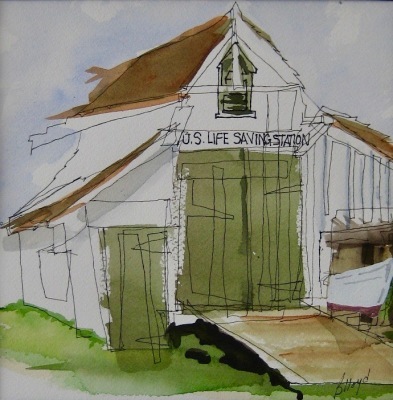 Come take risks, have fun, be intuitive and inventive in your watercolor paintings! This technique takes watercolor to a new level. Carol will demonstrate how to achieve this 3-D feel with watercolor paper and your own palatte. Tired of painting on the same surface? 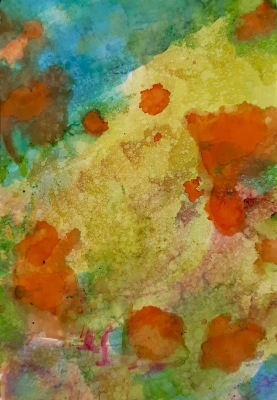 Come to MAG and "weave" water color paper to create a fun surface for painting! Each student will learn to weave strips of water color paper together and be able to paint on the surface if time allows. Paper will be provided, bring your own paints and brushes or just come for he paper weaving exercise. Flowers that last...really last! These Paper Roses are perfect for every occasion...and the holidays are here! Lynda guides you through the ins and outs of crafting these lovely roses. Participants should bring paper, scissors and a roll of green florist tape. All other materials will be provided. Refunds: A full refund or class / workshop credit will be made for students who officially withdraw 7 days prior to the start of class / workshop. If a student withdraws 2-7 days before the start of a class / workshop, credit will be given towards a future class / workshop. The amount of credit shall be limited to the amount already paid or the amount due for the future class/workshop, whichever is less. No refunds or credit will be given without 48hrs notice of withdrawal prior to the start of a class / workshop, or for partial attendance. The Milton Arts Guild must be notified of class / workshop withdrawal via email, phone, or in person to be entitled to the refund or credit privileges above. Cancellations: If it is necessary for the Milton Arts Guild to cancel a class for any reason, all registered participants will be informed as soon as possible and registered participants will receive a full refund of their course fee. Terms & Conditions: The Milton Arts Guild reserves the right to relocate, combine, or re-schedule classes, to substitute an appropriate class instructor when necessary or to make an exception to this policy for extenuating circumstances (except for Artist Specific Workshops). No student will be denied admission on the basis of race, color, gender or ethnic origin. However, the Milton Arts Guild reserves the right to refuse enrollment to participants with a history of disruptive behavior or for any impediment to the learning process of the group as a whole. Publicity Policy: By registering yourself or your child for this class, you are consenting to allow the Milton Arts Guild to use you / your child's image for publicity purposes unless you opt out when signing attendance sheet at start of class.